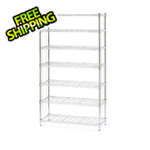 Organize your home, office or garage with this Seville Classics Heavy-Duty 4-Shelf Steel Wire Shelving System. 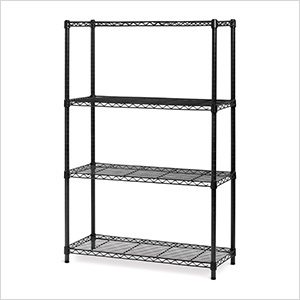 This versatile shelving unit is constructed from industrial-strength steel with a sleek powder coated black finish. 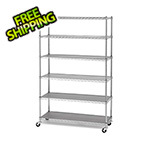 Backed by a 10 year limited warranty, the unit is NSF certified and is perfect use in retail environments, garages, warehouses, restaurants, mail rooms, schools, offices or work centers.